Stop by our local service center for bar none technical support. Customer Service is our focus for 17 years and going strong. Using our Advanced Secure Remote Connection tool, many problems can be resolved right from the comfort of your desk. At your door Experienced Computer Technicians to repair any problem. We travel the entire Central Valley. Most clients in the Greater Madera / Fresno area. Sluggish computer? Pop ups? Internet Slow? You probably need a good malware cleaning. We have a tried and true clean up recipe, you should try! Hardware fails. Accidents happen. Ransomeware is proliferate. 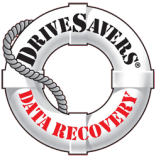 We have successful performed basic to forensic level data recovery services.